There's Going To Be A Film? Hollywood Producers Are Planning To Make 'The 12 Thai Boys Cave Rescue' Into A Film! It’s a sentiment that’s echoed around the globe as millions of people watch on and supports the ongoing rescue of 12 young boys and their soccer coach stuck in a Thailand cave, in the country’s north. But for some Hollywood producers, there’s no time to waste, and “some day” may as well be now. Two American producers are already plotting a movie project about the Wild Boars youth soccer team and their coach in anticipation of global box office success! Pure Flix films managing partner Michael Scott told AAP in Chiang Rai, “I see this as a major Hollywood film with A-list stars”. Mr. Scott and Co-producer, Adam Smith, also plan to bring in a screenwriter and interview key players from the team of foreign rescuers and Thai Navy SEALS, the victims and their families and seek exclusive rights to their stories. Pure Flix describes itself as a faith and family production and distribution film company. 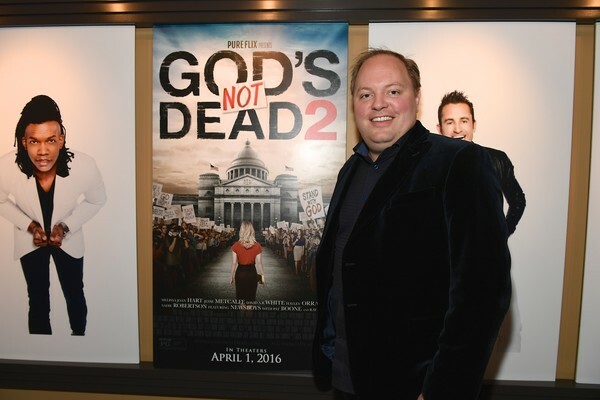 Its biggest film so far is God’s not Dead (2014), which made close to $US70 million worldwide produced on a budget of $US2 million. With that being said, we can’t wait for the movie to get the green light, as we know it’s going to be, not just a big hit, but an inspirational one that everyone will remember.